Vitro Architectural Glass (formerly PPG glass) is the largest commercial glass manufacturer in North America, operating six float glass production lines across four plant sites. The double-line plants cover more than a million square feet of space, and each line produces more than 600 tons of glass per day (or more than 400,000 square feet of ¼” glass). The glass is then sent for additional processing by our certified fabricators for a range of uses – from architectural glass to shower doors. The glass-making process commences in the batch house, which is where all of the incoming raw materials are offloaded on to a conveyor and sent to their respective storage silos. The actual batching begins when the raw materials are moved, weighed and mixed, and sent via a conveyor belt to the charging end of the melting furnace. The melting furnace is similar to an old fashioned brick-baking oven, but much, much bigger. The batch materials are combined with cullet (crushed scrap glass) and melted to form liquid glass. Sand is the major ingredient in glass, and sand on its own typically doesn’t melt until it reaches a temperature of about 3,000 degrees Fahrenheit. 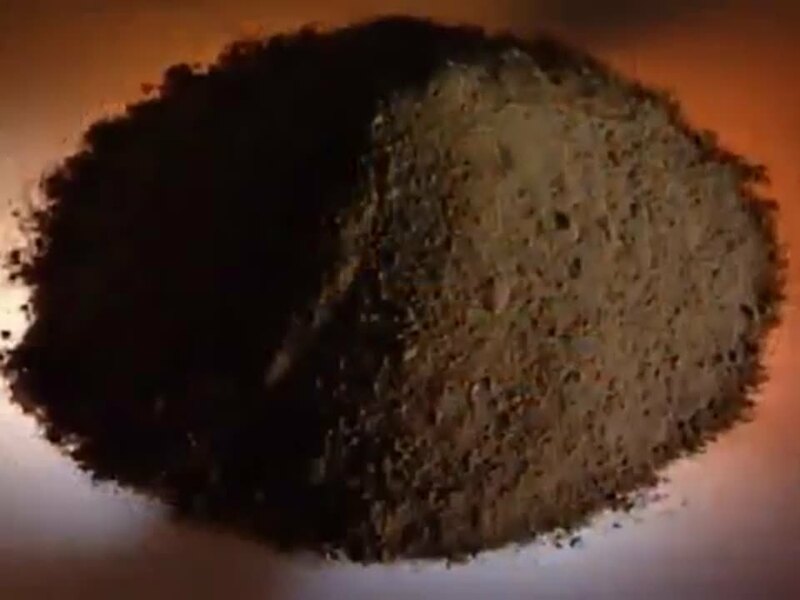 However, when sand is combined with other raw materials and cullet, it melts at a temperature well below 3,000 degrees Fahrenheit. The next step is cooling, which occurs with a series of water coolers in the cold end of the float bath. The glass is then carefully lifted out of the liquid tin and on to conveyor rolls at about 1,100 degrees and goes into the annealing lehr. 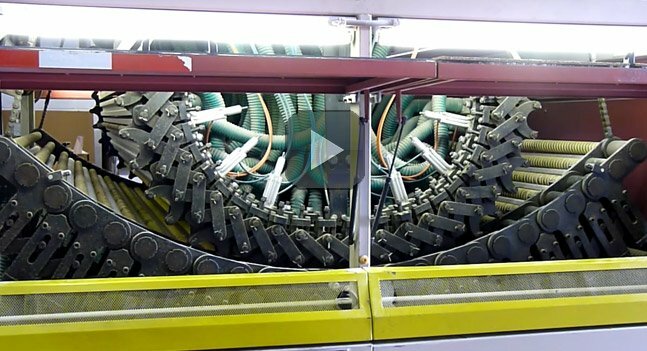 The job of the lehr is to further cool the glass at a controlled rate in order to ensure proper stresses are put into the glass so it can be cut easily and accurately. The glass comes out of the lehr at about 350 degrees Fahrenheit and is then further cooled towards room temperature by open air fans. The glass is then inspected for any flaws prior to cutting. 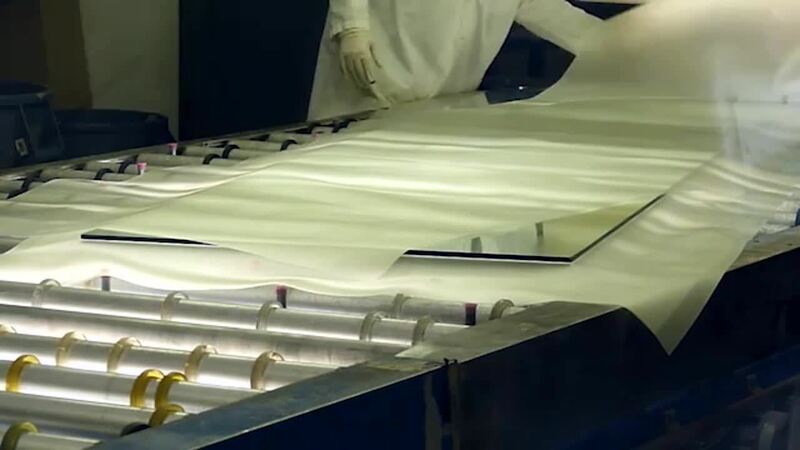 Before cutting, the glass must also first pass under a machine that drops a special powder on the surface in order to provide separation between each piece of glass and stain prevention. 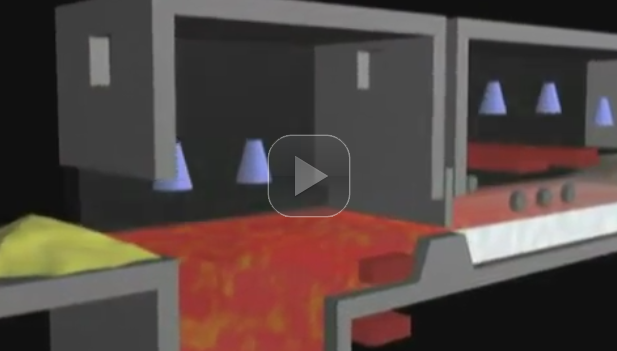 To continue learning about how glass is made, please view part two of this video. For any other questions related to glass, please contact Vitro glass or call 1-855-VTRO-GLS (1-855-887-6457).